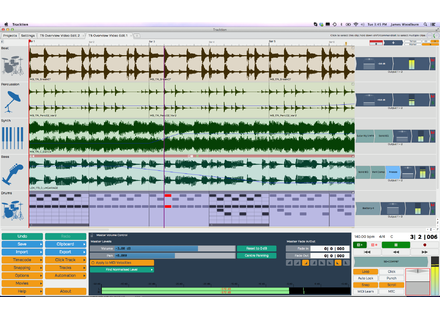 Tracktion 5, General Sequencer from Tracktion Software Corporation. 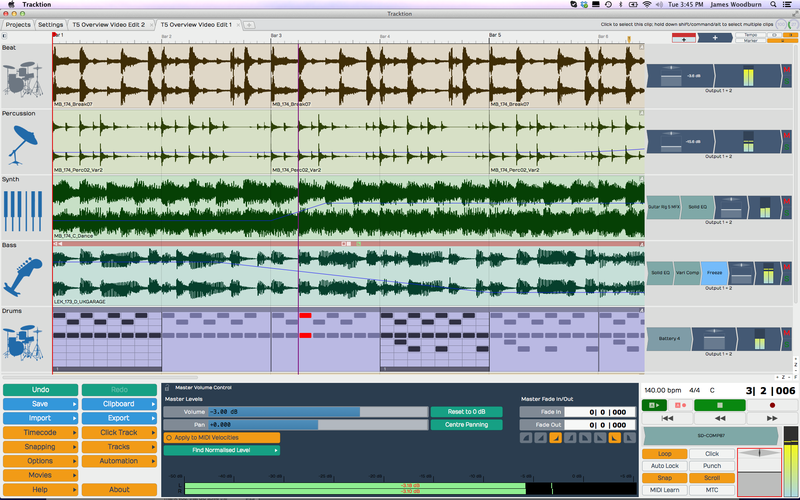 Product replaced by the Tracktion Software Corporation Waveform 9. Tracktion 5 now includes a Marketplace that allows you to purchase effect and instrument plug-ins directly within the DAW. To discover the new Tracktion Marketplace, you’ll have to download the new 5.4.2+ release. The store system is managed by Amazon Web Services and payments by PayPal. The Marketplace is currently offering dozens of virtual effects and instruments developed by Tracktion and third-party company (DDMF, Tek’it Audio, Acon Digital), with more to come. The Tracktion Master Mix and Micro Synth Pack are on sale. The Tracktion Marketplace is also online at marketplace.tracktion.com/app/. Nora has been upgraded to v2 Spanish developers Squareheads have released version 2 of their Nora MIDI editor, arpeggiator and sequencer. DMG Essence, a De-Esser for your mixes DMG Audio introduces a new De-Esser plug-in that can do more than de-essing on Mac et PC. The McDSP FutzBox in RE version for Reason McDSP and Propellerhead announce the availability of the Rack Extension edition of the FutzBox lo-fi effect plug-in for Reason.